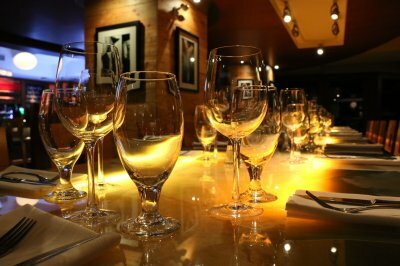 Versa Restaurant is a trendy restaurant located in the equally hip Saint Roch area of Quebec City. 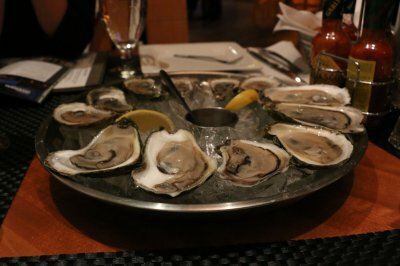 It is the only oyster bar in all of Quebec City and are known for their seafood. The restaurant is decorated with wood tones and beautiful lighting. The service was excellent my daughter dropped a utensil and before I could even look for someone to replace it a server was at the table with a new fork. My family and I had a lovely meal that started with some of the freshest oysters served with an array of Tabasco sauces. We had oysters from Cooke’s Cove, Prince Edward Island and Pristine Bay, Nova Scotia. Not only is Versa the only oyster bar in town it is the only place you can have Pristine Bay oysters. We shared the Canadian Bluefin Tuna Tartare which was accompanied with cherry tomatoes, kalamata olives, green beans, cucumber and marinated quail egg. The tuna was excellent and well accompanied. One of the highlights was the Smoked Duck and Foie Gras Creme Brulee. I am a big creme brulee fan but I never had a savory one. This was spectacular. We also thoroughly enjoyed the Grilled Octopus Cavatelli with Tomato and Bone Marrow Sauce. The cavatelli were homemade and the sauce was very rich and full of flavor. Dessert was just as good with a seasonal choice of butternut squash cake and corn ice cream- both very original choices and absolutely delicious.